The source of the quote is given as website of Children's Hospital of Philadelphia (CHOP) Vaccine Education Center, dated in April 2013. I have tried to use the "Wayback Machine" archives to try to find this quote in original form, but have not succeeded. Thus is the temporal nature of internet publishing; contrary to the "it's out there forever" reputation. So my question is: Did Paul Offit actually say (write) this? Aluminum quantities fluctuate naturally during normal cellular activity. It is found in all tissues and is also believed to play an important role in the development of a healthy fetus. 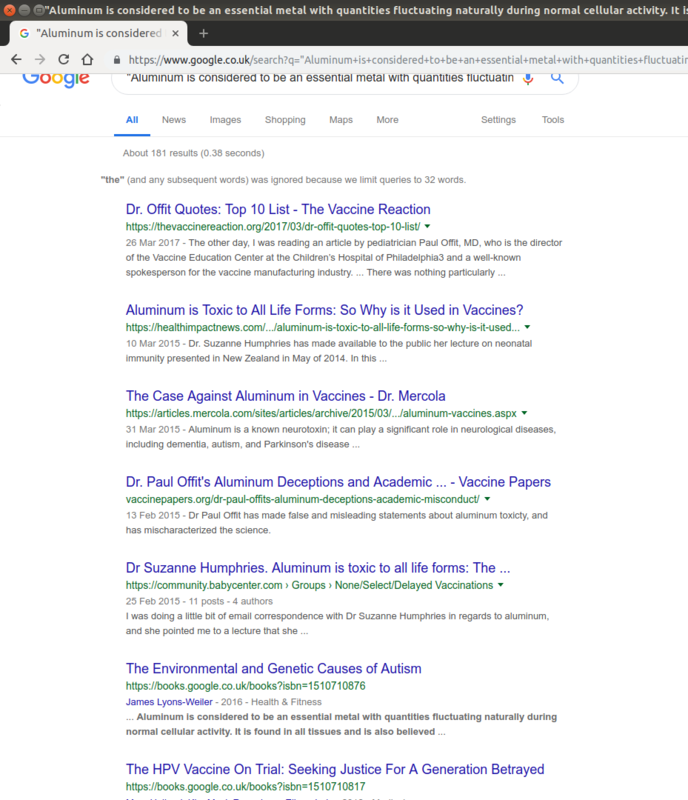 As you can see at the bottom, it says "Reviewed by: Paul A. Offit, MD / Date: March 2014". According to a comment here, this is an updated version of the page. The archives don't go back that far though. However, the fact that people were quoting the longer wording as far back as 2011 gives credibility to it being genuine. Not the answer you're looking for? Browse other questions tagged quotes vaccines .